The harassing behavior of a supervisor causes a change in the employee’s employment status or benefits. Examples of this are demotion, termination, looked over for a promotion etc. Harassment in the workplace is unlawful and unacceptable. No one should have to suffer this type of treatment when they are working. If you have been harassed at work, you are entitled to certain protective rights. Contact the work harassment attorneys at Rawa Law Group for help with your case. We can inform you of your rights and options and help to ensure that you are protected. Work harassment based on certain personal characteristics is unlawful. When unsolicited and unwelcome verbal comments or behavior based on the above mentioned personal characteristics keeps an employee from performing his job reasonably and efficiently or makes the work environment hostile, intimidating and offensive for the employee. Any person that an employee has contact with at the workplace may be guilty of harassment. 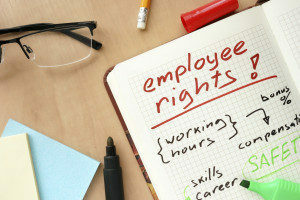 Managers, co-workers, and non-employees who have contact with workers such as a contractor, vendor or guests can create a hostile work environment. Victims of harassment can be anyone who is affected by the harassing behavior including other co-workers and not limited to just the employee who is directly affected. Our experienced and skilled work harassment lawyers will help to ensure that any harassment you are experiencing at work stops. Saying offensive things about an employee’s mental, physical state, employee’s age over 40 or birthplace and ancestry. Harassment Attorney in Riverside, San Bernardino, Orange County, Los Angeles.